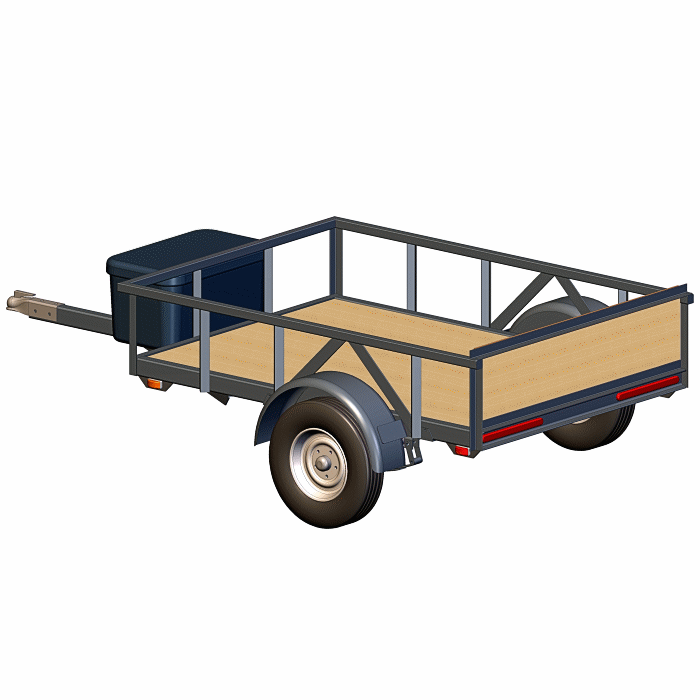 Our smallest, this 4×6 utility trailer is great for honey-do’s, modest jobs, or to haul a motorcycle. Small and light also means easier to store and to pull behind a smaller vehicle. Yet, even small, this trailer is tough to handle all the odd jobs. Single Axle – 2000 lb. Capacity, Leaf Spring Style. Has Design Options for a Removable Ramp, and Various Types of Sides. Includes Simple Plans for a Motorcycle Travel Stand. All Our Plans Include Complete Drawings and Illustrated Instructions. Design options maximize utility and usefulness, yet they also allow trailer customizing for your own unique needs. A top, sides or tailgate are options. Extras like a motorcycle stand, a ramp, toolbox mounting, tie-down bars, and more (all included in the plans) can add extra function to your 4×6 utility trailer. 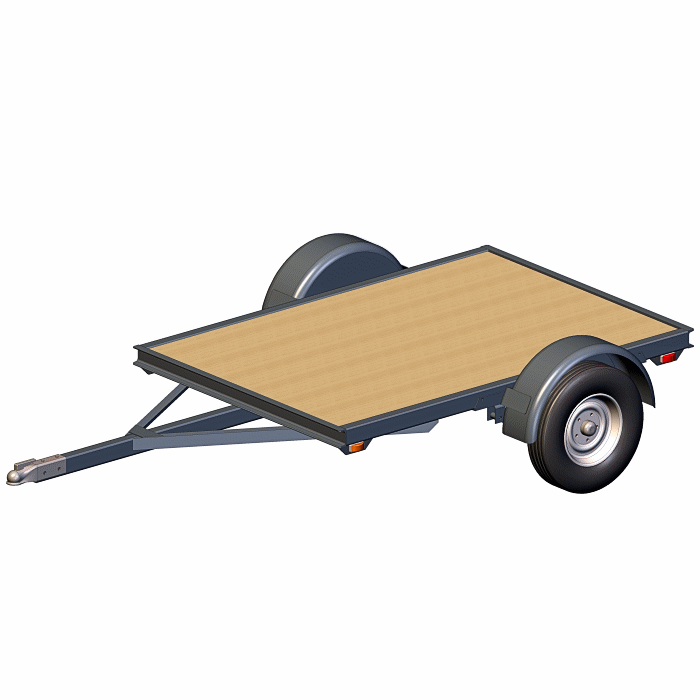 This trailer has a traditional leaf spring suspension. 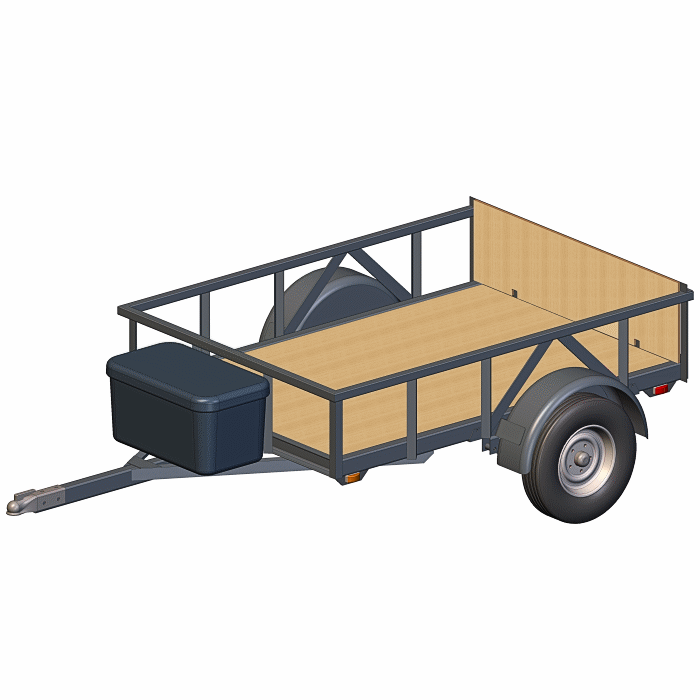 If you prefer, we also offer similar 4×6 utility trailer plans designed for a torsion axle. Leaf springs are less money and more common, while torsion axles offer some ride benefits. 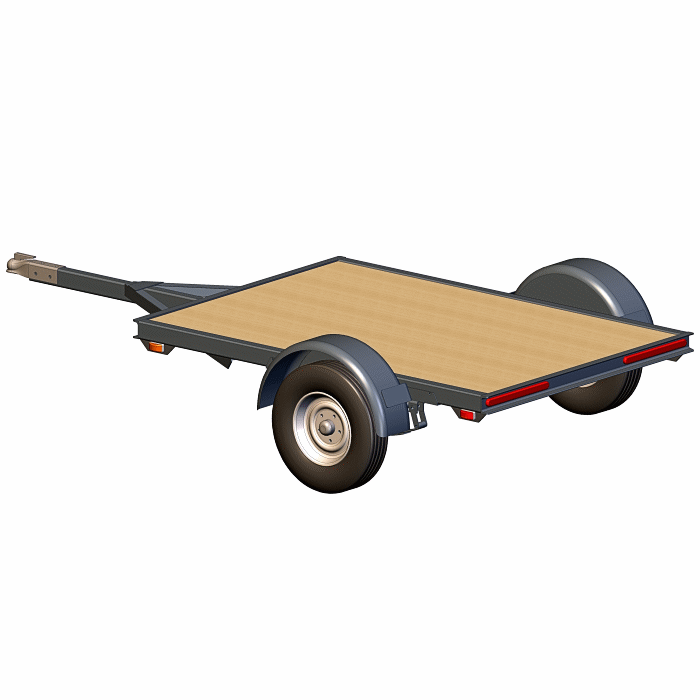 We also offer blueprints for a 4’x8′-2000# Trailer with the same options as above, just with a 2-foot longer deck. True trailer bed size is 4 ft 4″ wide x 6 ft 3.5″. long. Makes full 4 x 6 utility deck space.